What can we learn from HMV’s and Jessop’s high street failure? HMV’s antecedents go back to the 1890’s and Jessop’s 1935, but like Woolworth in the past, they have joined a list of Public names that have failed, putting many out of work and yet another nail in the high street coffin. But what went wrong? I don’t think that’s too much of a secret. Change of market needs, change of customer purchase methods combined with the burden of high overheads. More interesting is why? Why do two successful, well-established and popular brands get in this position? I think three reasons stand clear, head and shoulders above the rest. The deadly combination is Leadership that lacks vision, poor marketing and business development inertia. And once the tipping point is reached and marketing advantage lost, as these two giants show, there is no return and no amount of public nostalgia about support helps. The only things that do, are sales and cash in the bank from customer’s buying. In the UK, most of these death cries go unnoticed because of our 4.8M businesses, 4.6M or 96% of them are micro businesses employing 0-9 people. So when it hits the fan, there’s hardly a blip on the news radar. But make no mistake, business failures are regular, painful and common, which is why owners should wake up to the need to keep in touch and make marketing and business development a priority. Know your customer’s needs and know what they want to buy would be my mantra. And it shouldn’t be an annual research activity but a continuous process embedded into business DNA. Jonathan Wainwright enables organisations to create commercial success through digital marketing, traditional communications and team development. Receive a FREE copy of my book, Join me on Twitter and LinkedIn. Many small businesses and organisations, often as a consequence of day-to-day pressures on their time, have a stop/start approach to marketing. This FREE 40 Minute marketing session will enable you to prioritise the key areas to work on and where to effectively dedicate your time. Imagine how much more confident you would feel knowing that you had a marketing plan in place where you can measure the effectiveness of everything you are doing? Delivered by a either a 40-minute video Skype, or meeting at my office, I will take you through the marketing essentials, to help you get right to the heart of what’s important when it comes to promoting your organisation. At the end of the session you will have a personalised 5-point Action Plan to take forward and develop your business. And if you need further support to achieve this, here are details of my Marketing support programme. To book your session, call 07971 006 446 or email me. Join me on Twitter and LinkedIn. My book, has just been published by Amazon; here is a very short video to tell you more. For a limited period, I’m offering a complimentary copy, which you can download HERE. 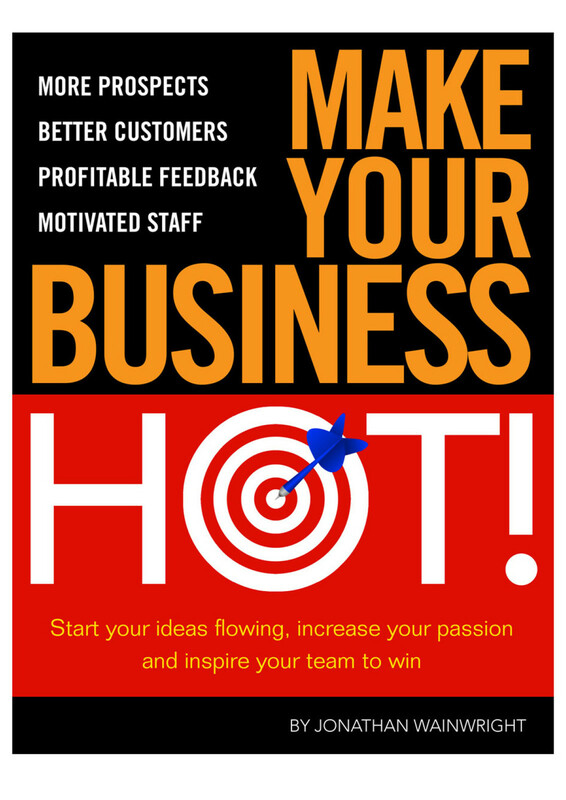 What I am looking for are opinions and suggestions to develop the sequel; ‘Make your business HOT! 2’. It’s less than an hour to read and you can easily dip in and dip out of it, so I do hope that you find it interesting and informative. If you feel inclined, a review HERE, would be much appreciated and a real bonus for me. In Victorian times, due to industrial grime, the Midlands was called, “The Black Country” and London had shocking pea soup “Smog”. What was normal then, would horrify us and be unacceptable today. So, not everything about prosperity is good. 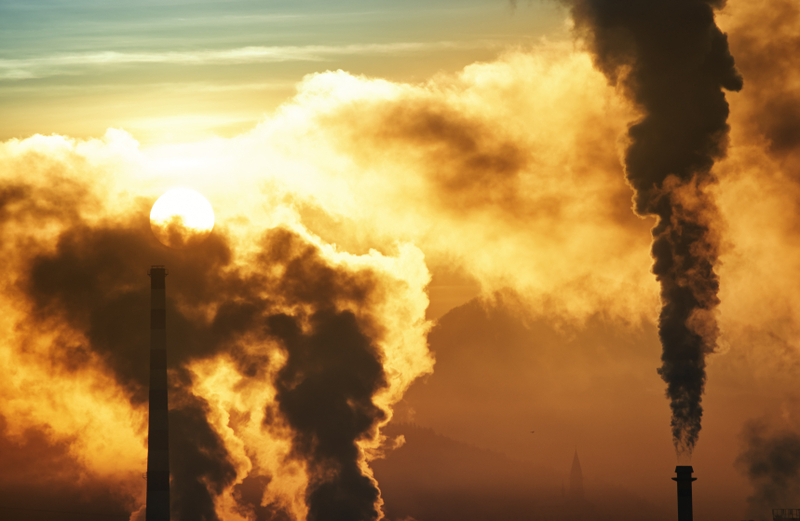 The industrial revolution’s pollution is one very good example. Things had to change and they did, yet breaking free can present a difficult challenge. Today’s equivalent to the Industrial Revolution’s pollution is “Austerity”. A great word – it sounds serious and severe, yet full of traditional virtue and values. It covers a gambit of situations, primarily politically and banker made, yet with the impact pressing down firmly on the shoulders of the populous. The result is that money is tight, the banks won’t lend. Jobs are becoming scarcer, particularly for youngsters. Wages are static, costs rising with customers demanding better value. And dealing with customer complaints has got to the bureaucratic point of idiocy. The face of retailing has changed forever, as the ability to research any topic is a mouse click away, meaning that we are all getting much more ‘Savvy’ in the way we do business. At some stage soon, the next sea change will come about and to survive society and business needs will change yet again. So what we need right now are special gifted people and organisations who have the insight to work out how to get us out of the “Austerity” dilemma. To find the Higgs Boson particle of the business world, what Donald Rumsfeld famously called, for different reasons, his “Unknown unknowns”. These people are the next generation Branson’s, Job’s and Zuckerberg’s. The true innovators, whose challenge is to create something new rather than ride on the back of an existing opportunity wave. Some may call that crystal ball gazing. Others may call it vision or foresight. And others may say that evolution is better than revolution. But whatever way, it takes a very special organisation or individual to achieve this. And generally one where the leader has a clear and radical view of the future and is seeking the solution to get there with an open mind. So, what’s your take on this? And what message do you have for the business community so it can kick “Austerity” into touch? enables organisations to create commercial success through digital marketing, traditional communications and team development. How can you reduce your Cost of Sales in these times of spiralling fuel prices? It’s about using technology to help with better qualification of prospects and increasing ‘Added Value’ without appearing to be any less enthusiastic for the business. Generally speaking in a flat economy, Sales require more effort. 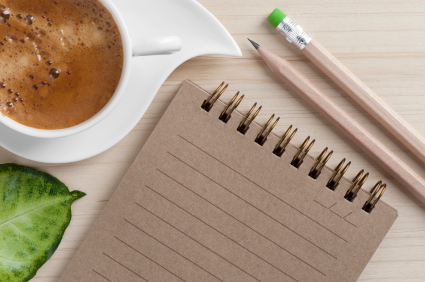 You have to get past the traditional way of an initial meeting – coffee and taking notes, to understand the client’s requirement. You have to speed up the Sales process. Because Sales have a longer purchasing cycle as many client organisations add extra layers to the purchasing process, involving more people in the decision. Added to this, many prefer to work with existing providers, but negotiate tougher deals. So they combine a better deal with the knowledge that their provider has the track record to deliver. All this adds up to a tougher and more demanding job for Sales people. They need to be resilient, more resourceful and appear more professional to win through in this environment. So when margins are slim and the buying cycle more demanding and longer, just how can you reduce costs whilst adding value during the Sales process? 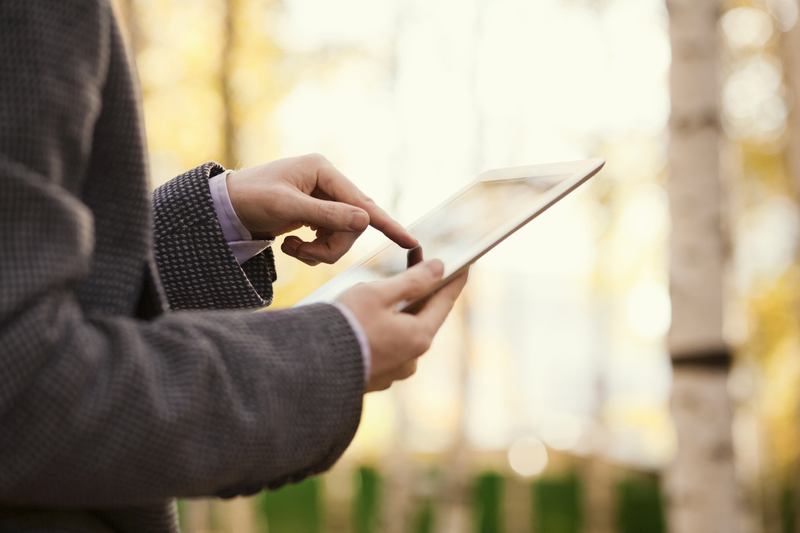 One way is to use the power of modern technology through Web conferencing. At a stroke this reduces travelling costs and the time associated with getting from A to B. It also enable presentations to multiple buyers and influencers within the Sales chain in a manner that puts across the message in a professional way; creating a positive first impression because it can be specifically tailored to each prospect, qualifying them as part of the initial process. Today’s web conferencing morphs a Sales call into a presentation into an engaging and professional communication. When you want to expand productivity, sell into new geographical territories and minimise Sales’ staff travelling time and expense, it can become one of the most powerful Sales tools available. Do you have a Social Media Funnel? The majority of businesses understand where their sales come from and what they spend to achieve them, yet often when it comes to Social Media they have little idea of the impact or costs. Usually because one of the attractions is that it’s ‘Free’. And that’s a major issue, because Social Media isn’t actually ‘Free’. The cost comes from the regular time needed to establish an appropriate strategy and then to implement it via this relatively new channel. Let me paint a picture of what can happen. It all starts in a blaze of youthful passion and enthusiasm – the team will sort out the strategy later. The ‘Blogs’ up and running, Facebook and Twitter accounts are opened and posts made daily, the YouTube viral is uploaded and LinkedIn profiles are 100% and relevant groups joined and conversations started. Then a few weeks later the shine starts to fade and interest wanes. Either relevant followers haven’t appeared or website traffic has stayed the same and enquiries are static despite hours of effort. And then it dawns that all this time has been spent chasing nothing. A big hole has been dug. And what’s worse, the organisation is trapped on the Social Media treadmill as stopping now could have a potentially damaging impact on existing customers and prospects amongst the followers and fans. A vicious circle has been created. But it doesn’t have to be this way; there is a better way to manage Social Media. A Social Media Funnel is part of a strategy that involves and uses all the company’s staff, expertise and resources in a consistent and clear manner to create the required leverage. Plan your strategy first, then you can identify and measure metrics that confirm you are achieving your goals. When you can do this, you will know that you are creating appropriate consumer interaction for building your business and have a great Social Media Funnel in place. At a recent buyers seminar one buyer commented that he was receiving less and less sales phone calls, yet his email ‘in’ box was jam packed with ‘Dear sir’ selling emails, most of which he deleted without reading. Email is seductive. At the touch of a button with an e-marketing system, Sales people can blitz hundreds of emails within seconds. It makes them look productive as the numbers are big. However, unless emails are personalised, targeted and specific, the chances of success are minimal. So why the switch? The cynical, myself included, will already know that some sales people making a career out of avoiding using the phone to sell and email marketing provides the perfect smoke screen for an excuse to stop phoning prospects. However, the reality is that, in business to business sales the telephone is an even more powerful selling tool today, than in the past. The Direct Marketing Association’s response rate report, has established that cold calling customers yields the highest response rate. 6.16% achieved, higher than response rates for direct mail, email, paid search and internet displays. With the market getting tougher, volume of sales calls being made down combined with the chances of getting through higher, opportunity for success increases. But it is essential to communicate the right message, what you say has to be relevant. These 5 top tips will make sure you get a great start. Time the call to avoid the gatekeeper. Call before 9.00am, lunchtime or late afternoon and you will have a very good chance of avoiding the gatekeeper, speaking directly with the person you wish to speak with. Always carefully research and plan the call. Be clear about your objective; sale, meeting, harvest details/information etc. Pitch your opening statement so that the listener can instantly see the benefit of a conversation with you. Know the interests of the person for the human touch. Make accurate follow-up notes. Keep to the point. Don’t wander of topic or start to waffle. Ever. Use Psychology. Empathise, build rapport, listen carefully to what is being said and take a genuine interest in the conversation so that you answer questions in a relevant manner. Act. At the appropriate point ask for the sale, appointment or information you need don’t procrastinate. 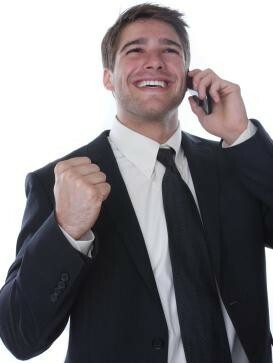 It’s not easy, which is why telephone selling is a highly sought after skill. If you are looking to improve this aspect of your business, I would be happy to share my knowledge with you.